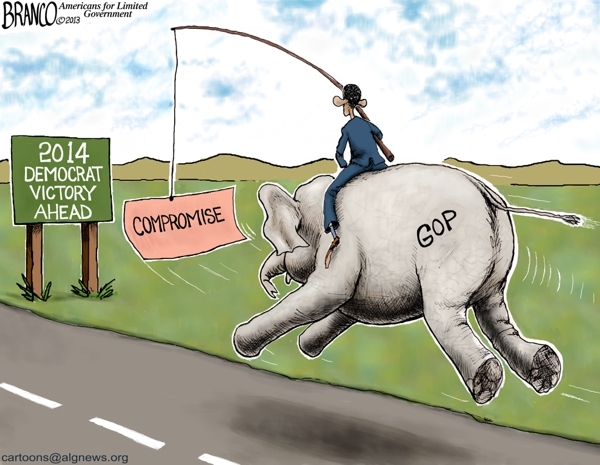 A clever idea boomerangs on Obama. Real cuts ahead? The whole sequestration gambit has failed, to the point where even the Washington Post’s Ezra Kleinadmits that “the Democrats have lost on sequestration.” The idea was that even the comparatively minor cuts in spending caused by the sequester would be so painful that voters would demand higher taxes rather than endure cuts in spending. Problem was, when the spending cuts came, nobody noticed. This led the Obama administration to try to up the pain by focusing cuts in places where people might feel the pain: canceling White House tours for schoolchildren, or furloughing air traffic controllers. That didn’t work either. The tour-canceling just looked mean, and the problem with targeting air travel is that members of Congress, and their top donors, fly a lot. 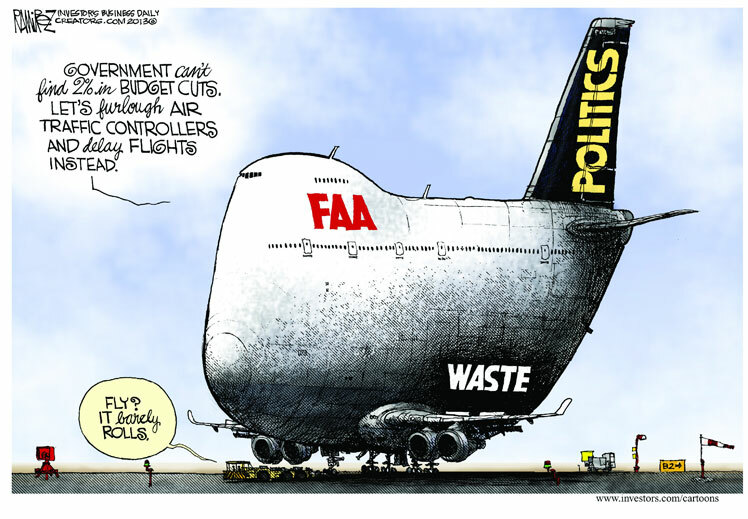 Huge bipartisan majorities in Congress thus quickly passed legislation forcing the FAA to make cuts elsewhere instead. I bet you didn’t know how generous you were. Where do you think the Boston marathon bombers got their cash to live on? Why you of course. Marco Rubio, you’ve been duped. Don’t forget your food stamps, aisle to the left. It’s always the poor that are hardest hit under liberals. But they think they are helped the most, what’s that all about? Math is hard. Despite their overwhelming support for radical Barack Obama, blacks and Hispanics lost the greatest percentage of wealth during the Obama years. You could add “what recovery”? Millions of Americans suffered a loss of wealth during the recession and the sluggish recovery that followed. But the last half-decade has proved far worse for black and Hispanic families than for white families, starkly widening the already large gulf in wealth between non-Hispanic white Americans and most minority groups, according to a new study from the Urban Institute. …The dollar value of that gap has grown, as well. By the most recent data, the average white family had about $632,000 in wealth, versus $98,000 for black families and $110,000 for Hispanic families. All in all, Hispanic families lost 44 percent of their wealth between 2007 and 2010, the Urban Institute estimates, and black families lost 31 percent. White families, by comparison, lost 11 percent of their wealth. European unemployment just broke above 12% for the first time ever and European youth unemployment remains miserably above 24%. And while 1-in-4 under-25s unemployed is a bad enough statistic in terms of likely emergence of social unrest, the individual countries are in general deteriorating once again at a faster rate. French youth unemployment has risen for 13 months in a row to a record 26.5%; Spain (at 57.2% of under-25s unemployed) is catching up fast to Greece’s stunning 59.1%; but perhaps the most concerning for the broader economies is the fact that Italy’s youth unemployment has now topped that of Portugal at 38.4%. The only nation to see a drop in its youth unemployment was Ireland – which fell back modestly to January levels. 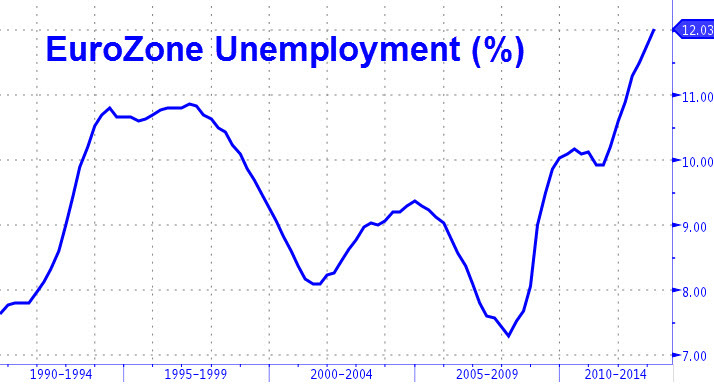 Not a rosy picture, but then again, it doesn’t matter… 12% unemployed, total. And then there is this, as you dig deeper. It’s even worse for the youth. 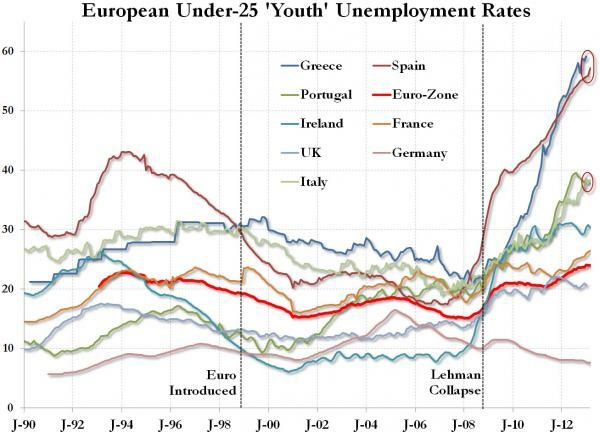 Euro-Zone under 25, 1 in 4 are unemployed. 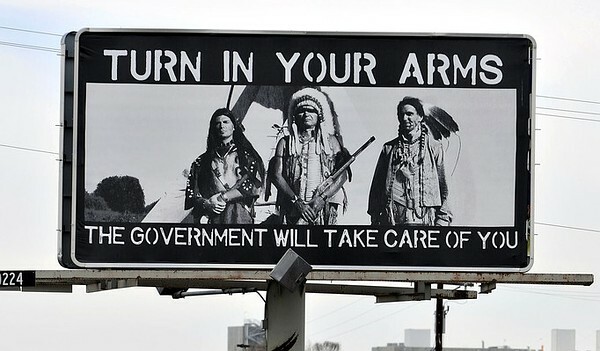 Worked for them … Actual billboard, by anonymous person. You are currently browsing the Tarpon's Swamp blog archives for April, 2013.